Coming up with a new look for your home or business’s lawn is an exciting prospect. However, it can also be a stressful one—especially if your plate is already full with other tasks that need doing. Whether you’re adding a new residential or commercial landscape, though, you can always count on McAfee Mowing and Landscaping for quick and quality landscape installation in Kentucky, and surrounding areas. Installation is the next step after design. Our team can help with the design process, as well, or we can work from an existing plan. Your preferences are our priorities, so let us know what you have in mind before we start working. We’ll try to incorporate as many of your ideas as possible during the installation process so that you can start enjoying a lawn that’s totally yours. 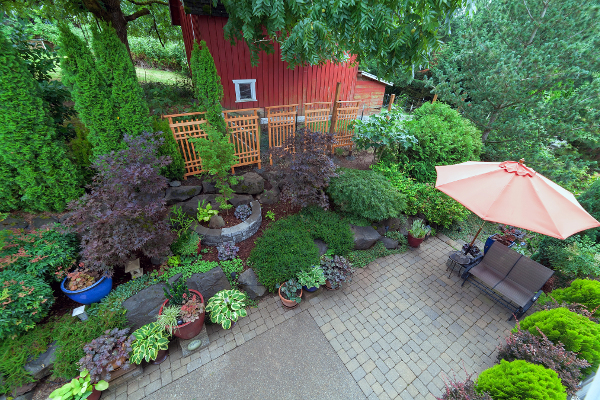 As a trusted local landscape installation contractor, our company understands the importance of planning. That’s why we carefully consider every step before we begin installing your new landscape features. No matter the size or complexity of your order, you can rest easy knowing our team will treat it as seriously as any other. Read on to find out more about the steps in our process. Planning: First, our team creates a detailed construction schedule, highlighting all the tasks that need doing. This includes purchasing, fabrication, shop drawing production, and installation. Then, we order materials and assign duties to managers. Finally, we prepare any subcontract agreements and purchase orders. Installation: During this step, our landscape installation team will visit your home or business and begin installing the features you ordered, bringing your design to life. We install many different types of features, including shrubbery, irrigation, lighting, and different types of sod and mulch. The process will go very smoothly, as we take time to ensure we have all the materials we need before we start. Final Consultation: Once your new design has been installed, we’ll check in with you to ensure you’re completely satisfied with our work. We want you to love the finished product, so be sure you mention any personal preferences during the planning stage. This will help us deliver a landscape that meets all your expectations and lends credit to your home or business. Contact our team to schedule landscape installation at your home or business. We proudly serve clients throughout Central Kentucky.